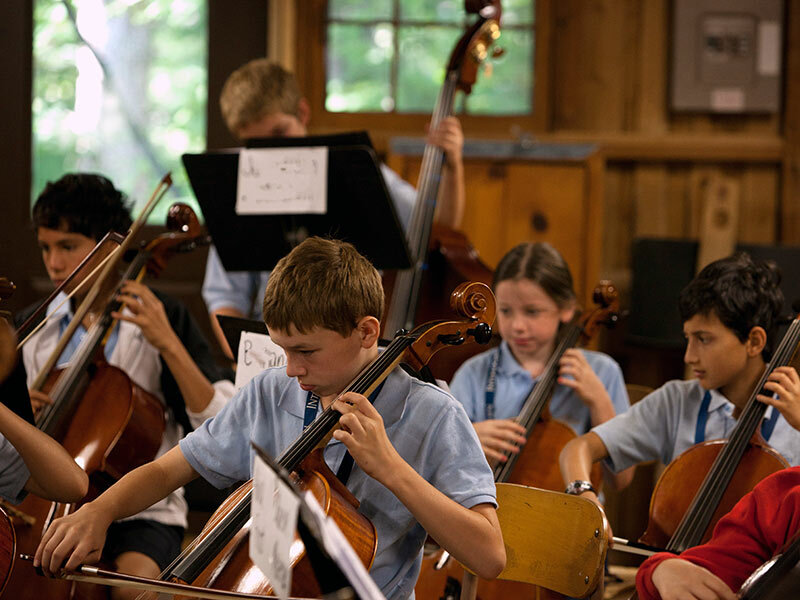 The junior string orchestra program is a great summer opportunity for musicians in grades 3-6. 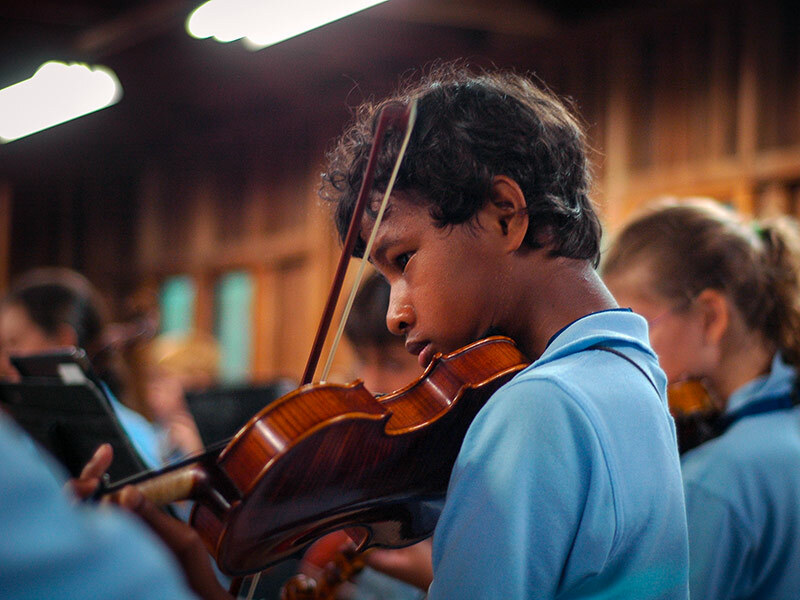 Guided by teachers who specialize in working with young musicians, you will develop your ensemble skills and musicianship. You will also have the amazing experience of living and learning with other kids from all over the world. 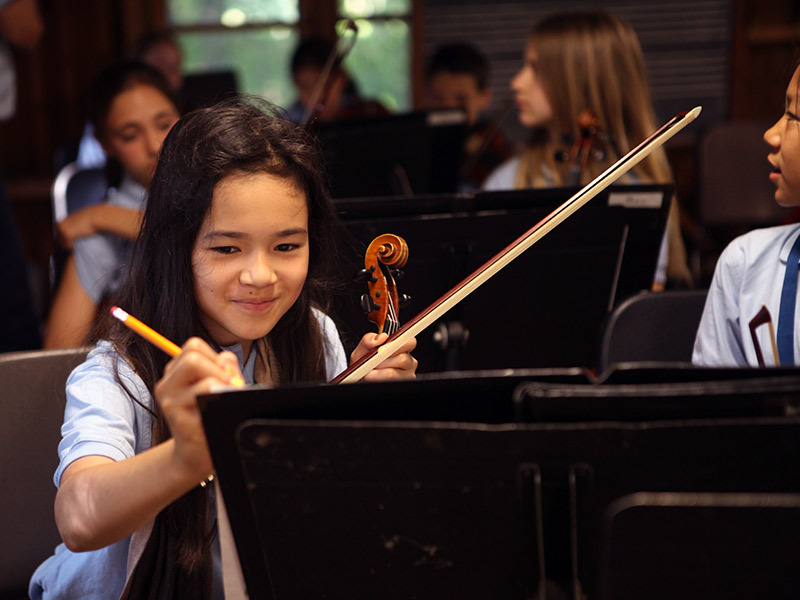 Daily two-hour rehearsals start with an organized warm-up, and focus on basic ensemble skills and string pedagogy. 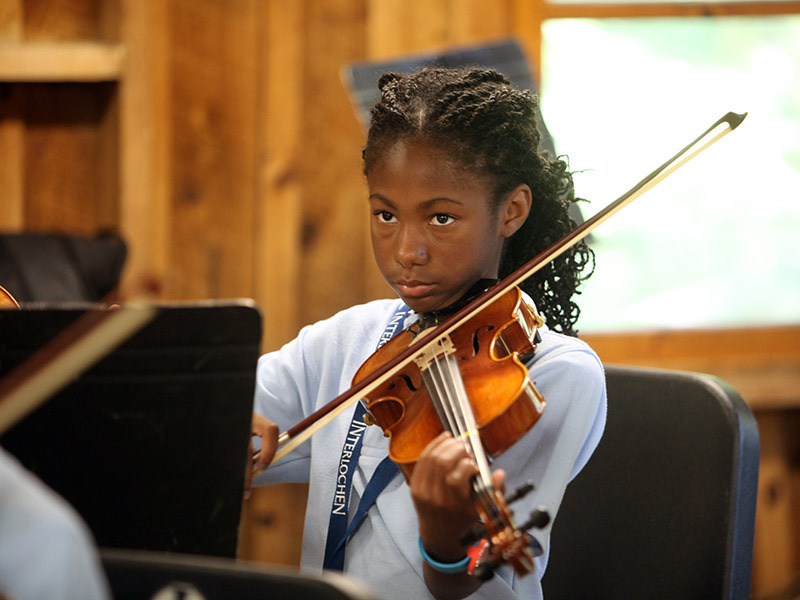 Students receive more personalized instruction from faculty during instrument sectionals. 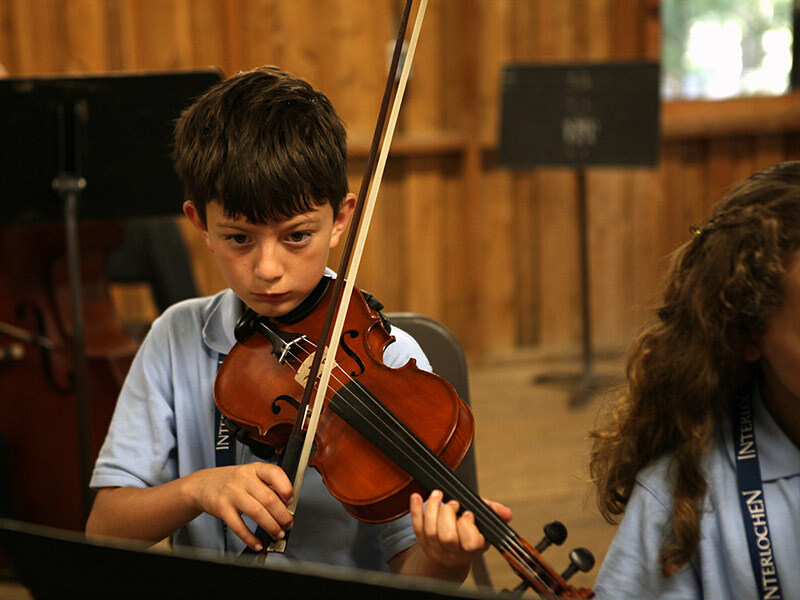 In string workshop class, you'll develop your skills in sight-reading, rhythmic reading, bowing techniques, and improvisation. Round out your experience with two additional elective classes. 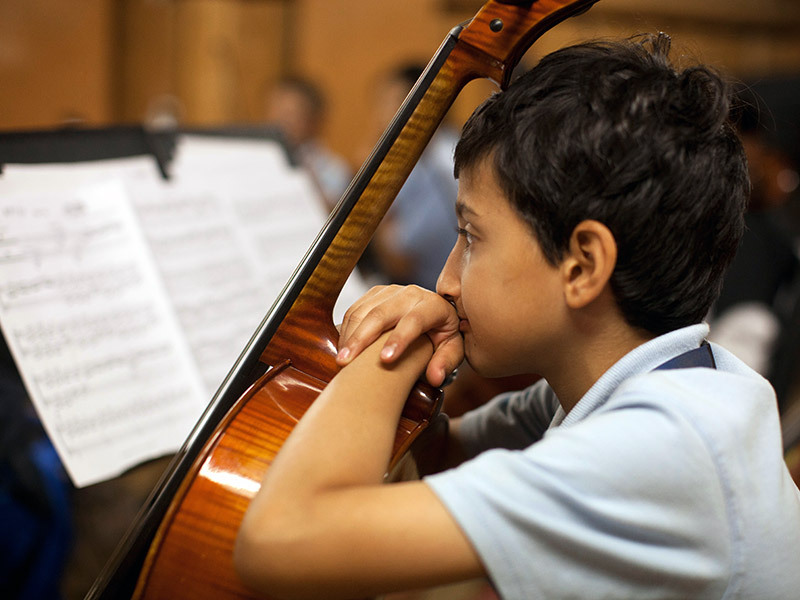 Your electives can be in music, or you can take the opportunity to study another art form, such as ballet, visual arts, acting, or creative writing. See elective options. Each two-week session culminates with a public performance. Students are welcome to attend multiple sessions (a discount is offered). 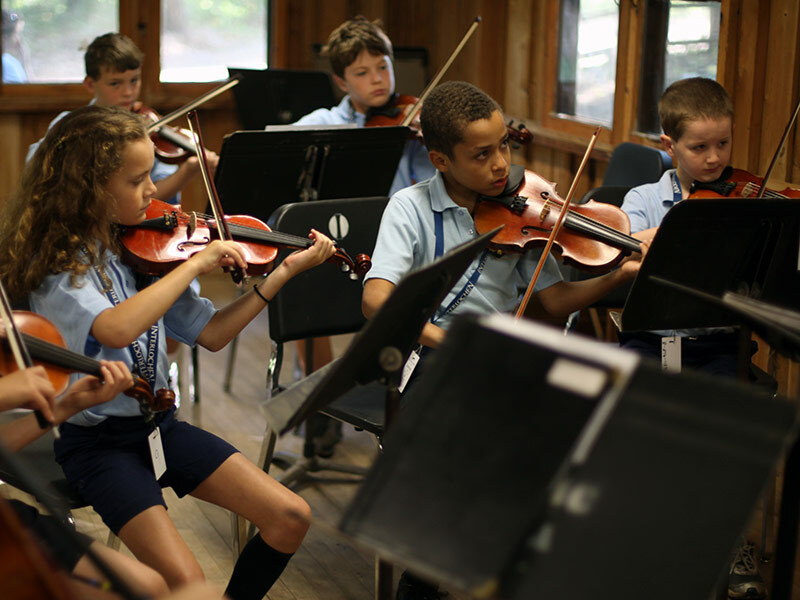 Students who attend for four or six weeks may take private lessons for an additional fee (private lessons are not available for students attending two weeks). This program does not require an audition, but students must be able to read music to participate. It enrolls on a first-come, first-served basis, so your early application is advised. 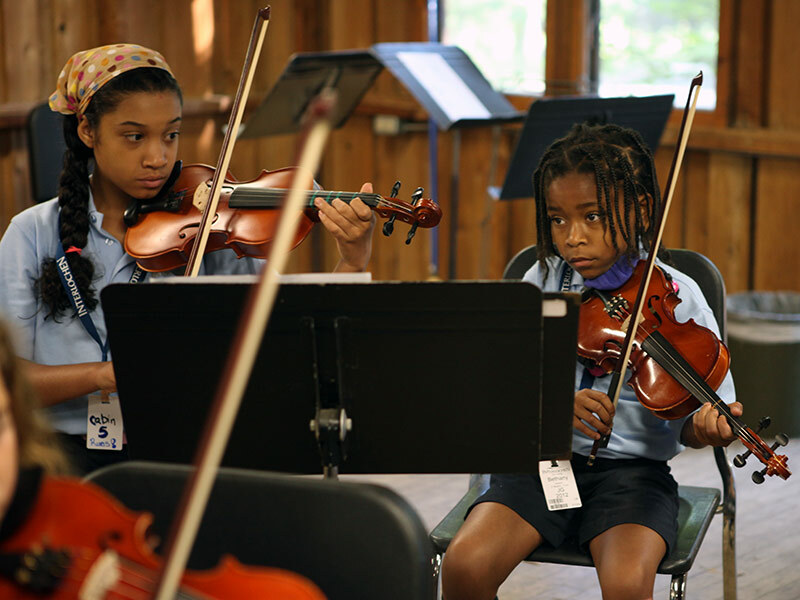 Advanced string players are encouraged to audition for the junior advanced string program.